Spray 9-inch tart pan with removable bottom with cooking spray. Press pie crust in bottom and up side of tart pan. Prick bottom and side with fork. Set aside. In large bowl, beat eggs and granulated sugar with electric mixer on medium speed. Beat in lemon peel, lemon juice and butter until well mixed. Pour into crust-lined pan. Bake 25 minutes. Cool 30 minutes on cooling rack. Refrigerate until serving time. Sprinkle with icing sugar just before serving. Cover and refrigerate any remaining tart. You can substitute regular lemons for the Meyer lemons. Garnish with additional lemon peel for more lemon flavour. 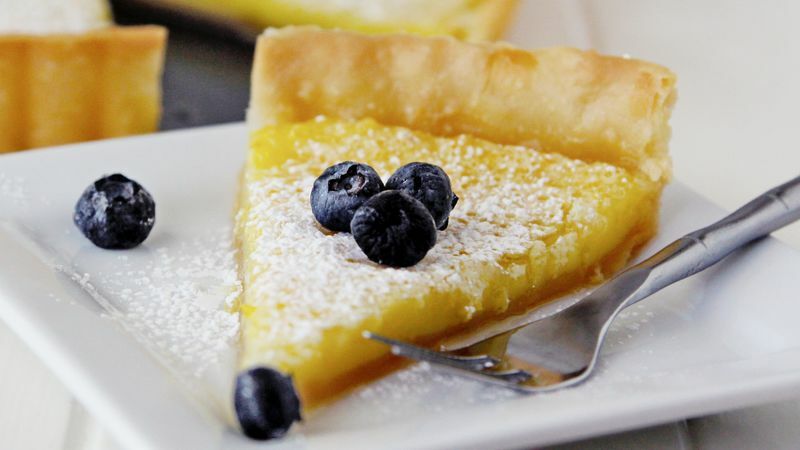 Chill completely for a firmer tart.